in literature centered on nature helps students imagine themselves out in nature. It helps them find solace in the joy of the outdoors. Imagery of nature helps students create “pictures" in their brain about the part of nature on which they're focusing. This helps students become absorbed in thoughts of nature and avoid stressful thoughts from their daily life. “Walden" by Henry D. Thoreau is a wonderful book to share with high school students. This lesson begins with the Internet, where students can look for pictures of the cabin the author built and lived in at Walden Pond. 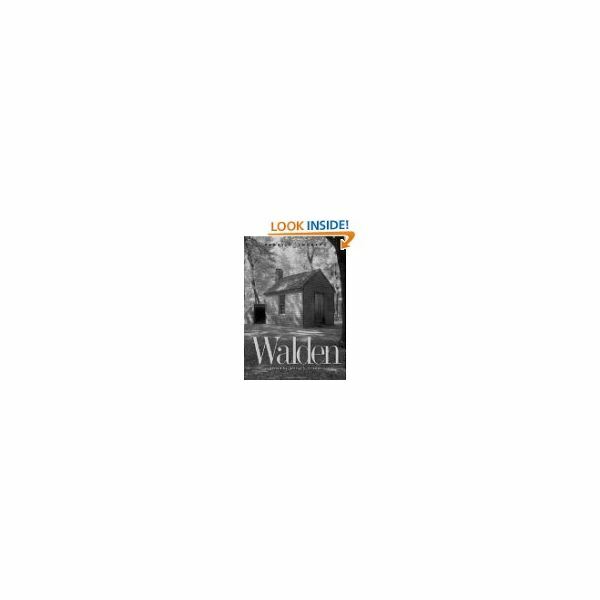 Some interesting websites with information about “Walden" include: www.Walden.org/ and www.Mass.gov/dcr/parks/walden/. Ask students to make note cards with at least ten interesting facts about Thoreau and his life at Walden Pond. Before assigning reading of “Walden" ask students to volunteer information they have had with time in nature. Ask the class if anyone has been camping or spent time near a lake. Allow students to share their experiences. Ask the class what they have learned by spending time in nature. Ask students also if there is a nature trip they would like to take. Also ask if they think they could spend time alone living in isolation in nature. Have students volunteer to write an example of nature imagery on the board based on their time out in nature. Discuss each example and allow as many students as possible to put examples on the board. Assign students readings from Walden for homework and then hold class discussions about key statements. The following excerpts are usually helpful for students to understand Thoreau’s life at Walden Pond. “I lived alone in the woods…in a house which I had built myself…and earned my living by the labor of my hands only." “I was also serenaded by a hooting owl." “I rejoice that there are owls." “This is a delicious evening, when the whole body is one sense, and imbibes delight through every pore." “In warm evenings I frequently sat in the boat playing the flute, and saw the perch, which I seem to have charmed, hovering around me." “In such a day, in September or October, Walden is a perfect forest mirror, set round with stones precious to my eye." Also ask students to make a list of ten examples of nature imagery as they are reading “Walden." Then hold a class discussion to help students analyze the power of imagery in “Walden." To analyze student progress with this lesson, there are several options. You might want to have students write an essay about the imagery used in “Walden." What do they learn about how nature is soothing from the imagery used in “Walden"? Use the standard writing rubric to grade the essays for writing skill, logic, and examples of imagery used. You may also ask students to write an essay about the importance of nature in life. They may choose an opinion pro-nature or pro-technology. Ask them to fully explain their opinion with facts and examples. They may use passages from “Walden" to support their opinion. Use the standard writing rubric to grade the essays for writing skill, logic, and analytical thinking. Another way to assess students is to have them write a five-paragraph essay about a class period that is spent outside in nature. Get permission from the school to take students outside the school. Perhaps there is a spot with some trees or flowers that the class would enjoy. First ask them to sit quietly and take notes on what they observe in nature. Are the birds or insects around? Do they see trees or flowers? What sounds of nature do they hear? Then let students move around the area and observe other aspects of nature. The essay they submit should include details of nature, imagery, and their opinion about how nature helps teenagers. “Walden"by Henry D. Thoreau, edited by Jeffrey S. Cramer, Yale University, 2004.